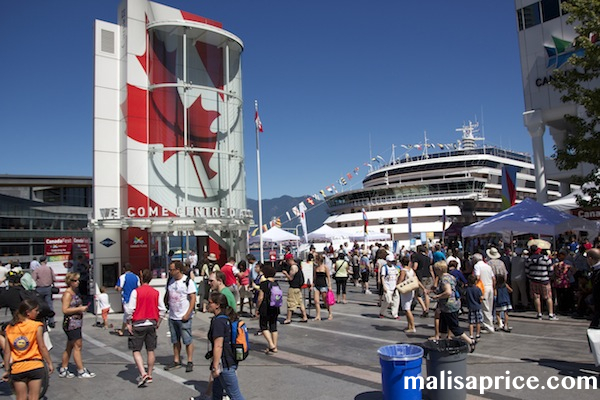 On our fourth day in Vancouver we headed straight to the Visitor's Center to buy discount tickets for the Music Man, a Theatre Under the Stars (TUTS) show later that night! We hopped aboard the skytrain for breakfast at Cafe Medina. Anthony wrote a great post about our experience at this breakfast place that serves excellent coffee (finally a perfect pair). After our bellies were full, we started walking back to Canada Place. Along the way we saw a cooking school. Having just eaten, we bought a few homemade caramels and bacon infused sea salt. A little stand was giving away Canada flag pins. I got a few for us and made Anthony an honorary Canadian! While we walked along, we spotted a stand that was serving hamburgers and none other than Anthony's favorite beverage: ROOTBEER! 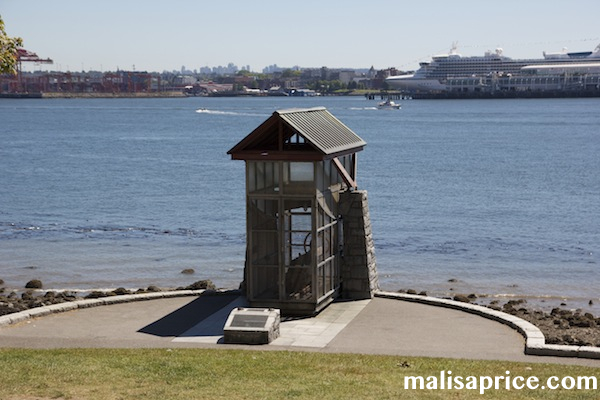 We found the hop-on hop-off trolley and made our way to Stanley Park. Here's a view of downtown Vancouver from the Park. The famous cannon that goes off every night at 9pm. 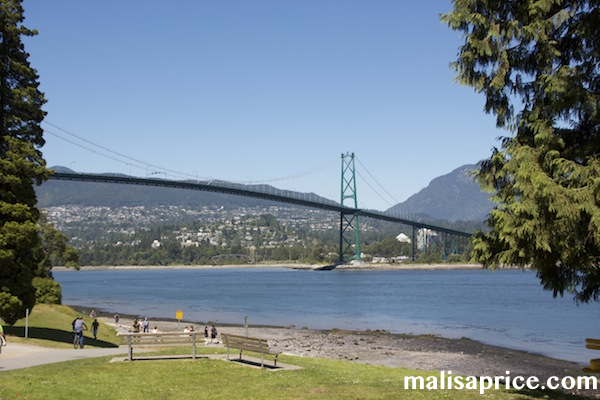 The Lions Gate Bridge is a suspension bridge very similar to the Golden Gate Bridge. This was by far the hottest day. 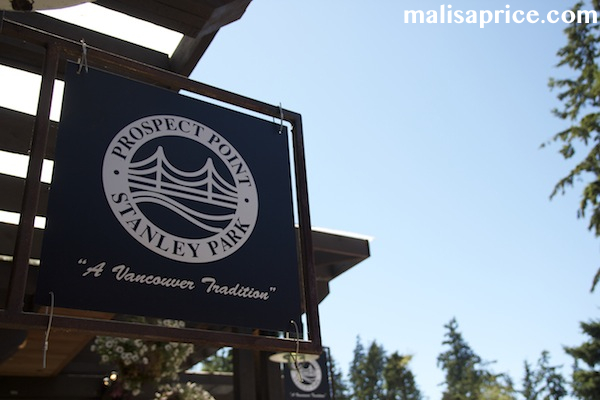 We got off the trolley at Prospect Point and spent some time looking around. Even though it was over 100 degrees in Sacramento, the 80 degrees in Vancouver was warm! I needed a little ice cream to cool me down. Anthony kindly filmed me being a tour guide. Enjoy! We headed back to our hotel to freshen up for dinner at Stanley's Park Bar and Grill and the Music Man! 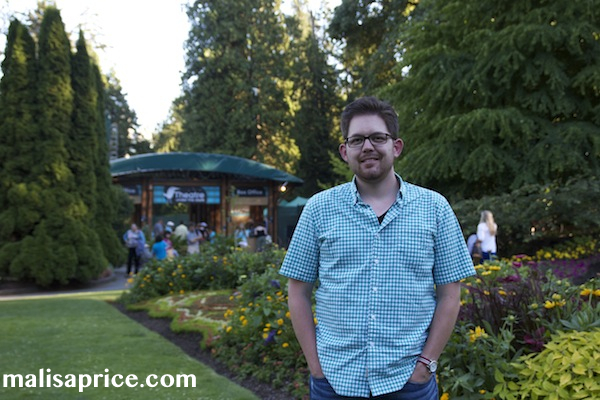 When we decided to go to Vancouver, I was bummed because we'd miss seeing the Music Man in Sacramento. 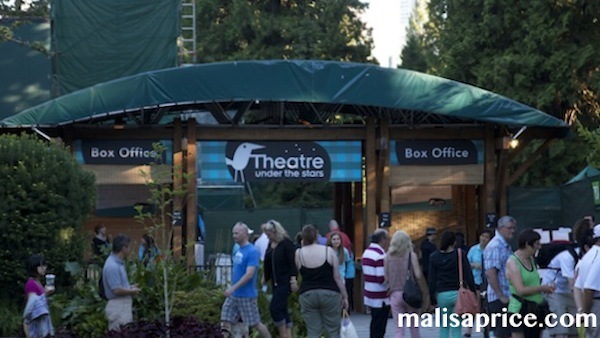 Seeing the Music Man under the stars in Vancouver was one of my favorite memories of our trip! Here are the other days of our travel tales.